Jaime, a high-level executive who gave up his career to become a coach, holds his first session with Carlos, a telephone company executive. Nadia, the girl who inspires the novel’s title, is an executive at L’Oréal but feels uncomfortable at work and also goes to Jaime for help. From the very first moment Jaime and Nadia feel a connection much stronger than mutual understanding that endangers their professional coach-client relationship. Meanwhile, Juanma, Nadia’s boyfriend, a computer technician, accidentally finds the password to a strange file entitled Thus Spoke Zarathustra, the book by Nietzsche. This is when the novel takes a sharp, action-packed turn that will grip the reader right to the end. A crime novel that portrays the greatness and mystery of the business world through the eyes of Jaime, a coach turned involuntary detective. A portrayal of the world of coaching without ever letting up with its intelligence, clarity, accessibility and containing a healthy dose of humour and eroticism. An easy to read novel with well-drawn characters that, in the classic style, can be classified as good, bad and ordinary. 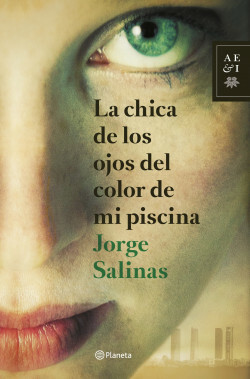 Salinas has written an intelligent novel that doesn’t ask the reader to understand everyone: we celebrate and suffer with the goodies and hate the baddies.